‘Blätter’ calls for a courageous politics for Europe; ‘Arena’ talks to Göran Therborn about equality and populism; ‘Kritika & Kontext’ gathers old friends; ‘Samtiden’ discovers the feminist Qur’an; ‘Prostory’ assesses the protests in Belarus; ‘pARTisan’ revisits the collective farm; ‘New Literary Observer’ discusses mastery and slavery; and ‘Osteuropa’ reads Platonov. Blätter publishes a conversation between Emmanuel Macron and Sigmar Gabriel, introduced by Jürgen Habermas, entitled ‘Thinking Europe anew’. Habermas defines the problem: ‘The governments of the Member States, which must derive their legitimacy from their respective national publics, are the least suited to implementing community interests; and yet, as long as we lack a European party system, they are the only actors who can achieve anything at all.’ Are appeals to European solidarity ‘condemned to failure’ or do politicians ‘simply lack the courage to address the burning topic of the future of Europe’? 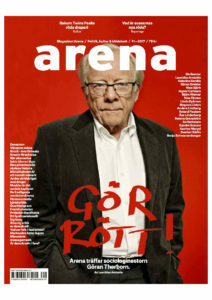 Arena features a ten-page interview with one of the world’s most renowned Marxist sociologists, the seventy-five year-old Swede Göran Therborn. Professor emeritus at Cambridge University, Therborn’s analyses of the ailments of capitalism continue to appear regularly, most recently The Killing Fields of Inequality in 2013 (see his article of the same name published in Soundings and Eurozine). In his next book, Cities of Power (forthcoming in May), he ‘questions received assumptions about the source of urban power and how it manifests itself’. Turning to the current political landscape, Therborn argues that ‘progressive’ people’s contempt for populism is a mistake. ‘Contrary to what they say, populism is not at all a kind of proto-fascism, but instead has roots in nineteenth-century America and Russia.’ Sweden, he concludes, ‘needs a leftwing populist like Bernie Sanders’. One gets the feeling that he is talking about elsewhere too. 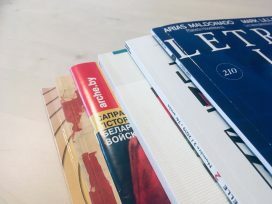 Announcement: Last week, Håkan Bengtsson, who together with Per Wirtén founded Arena twenty-four years ago, announced that the magazine is being wound down. The publication has been losing money for years and is no longer sustainable. However, he assures readers that the type of content published in Arena will find its way into some of the magazine’s spin-offs, such as the politics and opinion webzine Dagens Arena. 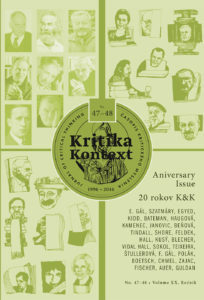 Kritika & Kontext is one of the few Slovakian cultural journals founded after 1989 still publishing. 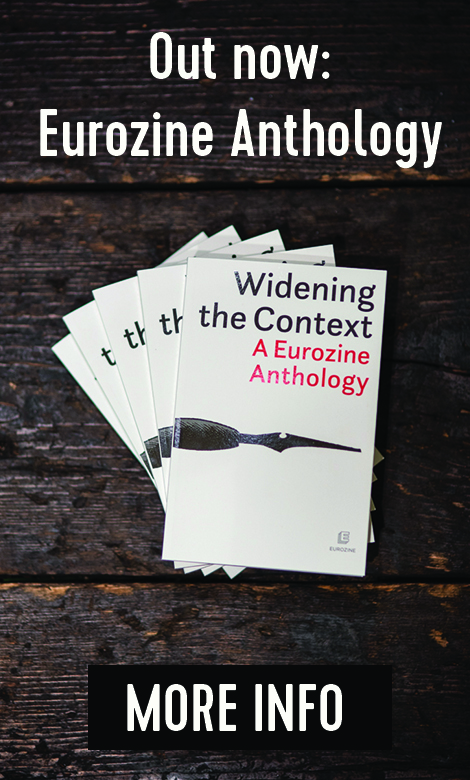 To celebrate its twentieth anniversary, friends write on a literary or theoretical work that has impacted on their thinking. Their contributions cover two entire issues. Taylor: Klaus Nellen selects an essay by Charles Taylor written in 1991 for Transit and published here in English for the first time. In it, Taylor asks what exactly ‘is the nature of the relations in which people stand when they are common citizens of a democratic regime?’ Neither the ‘economic theory of democracy’ nor the Rousseauian volonté générale provides a satisfactory answer. Instead, there is a middle way in which the constitution ‘is seen and cherished as a common good, because it is seen as the common repository and bulwark of the dignity of all the participants’. 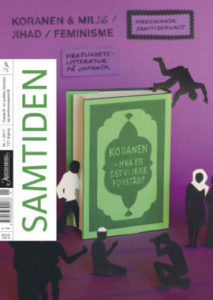 The first issue of Samtiden under the editorship of Christian Kjelstrup is on the Qur’an. Insecurity and ignorance characterize most Norwegians’ relation to one of the most important books in world history, Kjelstrup notes in his editorial. The aim of the issue is to find ‘a new way in to the eternal, polarized and deadlocked “Islam debate”’. The Qur’an and feminism: Marianne Bøe, a historian of religion, discusses feminist readings of the Qur’an, from Nazira Zeineddine’s pioneer work on the veil from 1928 to Amina Wadud’s ‘gender jihad’ (2006). Most of these interpretations have attracted massive criticism from within Islam, not only from conservatives but also from radicals who claim that feminist Muslims are promoting an academic emancipatory project relevant only for a small western elite. Also: Selene Wendt on the Qur’an and contemporary art; Shoaib Sultan on the Qur’an and climate change; and Warsan Ismail on whether the Qur’an and science are compatible. In Prostory, Belarusian intellectuals assess the latest protests in Belarus, sparked by a decree to prevent ‘social dependency’ that would have forced the unemployed to pay a special tax. The regime has resorted to mass arrests and shows of force with protesters being summarily sentenced for up to fifteen days for ‘disorderly conduct’. Critic and curator Alexey Borisyonok and artist Olga Sosnovskaya compare the protests with those in 2011 following the fraudulent presidential election. 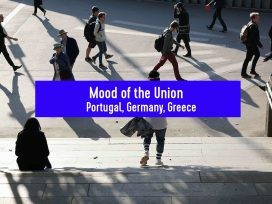 Like six years ago, they are not controlled by the nationalist opposition, but are an expression of widespread popular discontent. The spontaneous solidarity among the protesters can be seen as a germ of democracy emerging from below. However, the spontaneity of the protests is also a weakness: they lack internal organization and people’s attitudes remain vague. According to Olga Shparaga, editor of the internet journal Novaya Evropa, the protests are indeed different this time, insofar as they are explicitly about the economy. Faced with huge problems, the regime places the burden of responsibility on the shoulders of citizens. Yet citizens have no say in decision-making processes, which inevitably causes cynicism and apathy. The creative solidarity emerging among people ‘helps society take a look at itself and see that, unlike the regime, it might still have some kind of future’. Also: An insight into the work of the young Russian artist Alisa Yoffe, whose monochromatic paintings are inspired by various manifestations of hatred and tyranny. She says that she especially wants her harrowing canvases to be seen by children, because ‘they still have some future’. Also: Alena Hapava reconstructs the Soviet myth of the ‘jolly kolkhoz farmer’; Volha Bubich looks at the new trash culture of village youth in so-called ‘agrotowns’; and Alaksiej Chackievič, one half of the comedy duo ‘Sasha i Sirozha’, famous for its lampooning of country bumpkins, talks about changes in Belarusian rural life over the past thirty years. Memories of slavery continue to influence relationships, institutions, and political and legal practices and identities worldwide. Yet, in Russia, slavery is generally viewed as a historical aberration associated only with eighteenth and nineteenth century America. As the centenary of the 1917 revolution approaches, a double issue of NLO defines slavery as ‘any form of forced labour, oppression or captivity’, including feudal serfdom. ‘Without understanding the consequences of serfdom, it is impossible to explain what occurred after 1917 or what is happening in Russia today’, write the editors. Peasants and gentry: Tomasz Zarycki sees the discussion on the legacy of serfdom in Poland as a standoff between liberals and radicals. Liberal intellectuals argue that the landowning elites of the Polish–Lithuanian Commonwealth are idealized through association with the myth of the Rzeczpospolita, hailed by conservatives as the perfect national republic. Radical thinkers, on the other hand, see the Commonwealth in terms of exploitation and oppression. Even today, the status of peasant farmers remains very low, while that of the gentry and their descendants is the opposite. ‘The gentry are an imagined category, not an existing group which can be blamed or credited for the current state of Polish society’, remarks Zarycki. 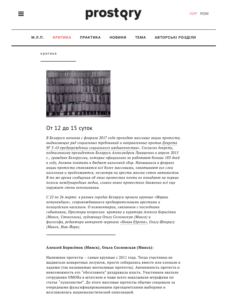 Memory and museums: Anke Giesen, Andrei Zavadsky and Artem Kravchenko examine three exhibitions in Russian museums devoted to the Gulag and Soviet repressions after Stalin. In all cases, ‘images of slavery have been replaced by images of collective “socialist labour”’. People in captivity are increasingly presented as performing heroic and productive work ‘for the good of the nation’, in terms very reminiscent of the Soviet period. 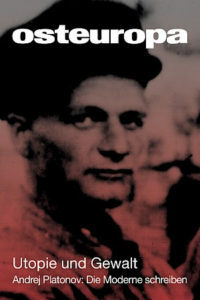 Back in 1973, Joseph Brodsky called Russian author Andrei Platonov one of the most important writers of the twentieth century, alongside Kafka, Musil and Joyce. That is meanwhile the view of literary criticism internationally. However, Platonov’s writing from the 1920s and 30s took a long time to be received in the West, while in Russia it appeared only during perestroika. Today, Platonov is more or less unknown in his country of birth. 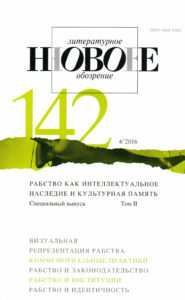 To coincide with the appearance at the end of last year of an acclaimed new German translation of The Foundation Pit (1930), Platonov’s allegorical novel about the destruction of village life by collectivization, Osteuropa has published a monumental issue collecting not only secondary literature but also first-time translations of Platonov’s journalism and reflections on the author by leading eastern European writers. Also in the issue: Historian Stephan Merl on Stalinist collectivization: during the early 1930s, the slaughtering of livestock and the collapse of the grain industry caused a famine which brought over six million casualties. Literary scholar Robert Hodel on visions of happiness in The Foundation Pit: the novel undermines the utopian teleology of happiness while suggesting a Christian-humanist alternative. And Platonov’s translator Gabriele Leupold on rendering Platonov’s ‘beautiful’ but ‘wrong’ language.